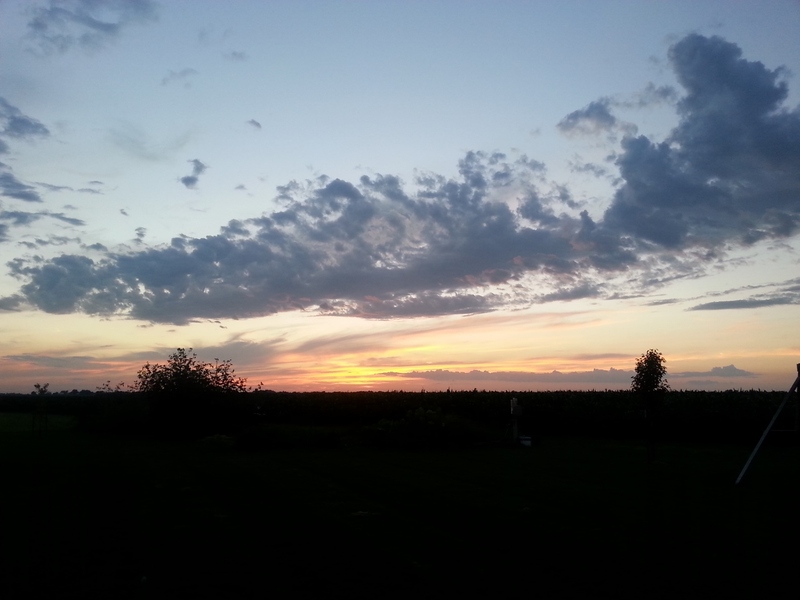 I wrote this post for my blog Pushing Forward with Grace. I felt it appropriate to share over here too. 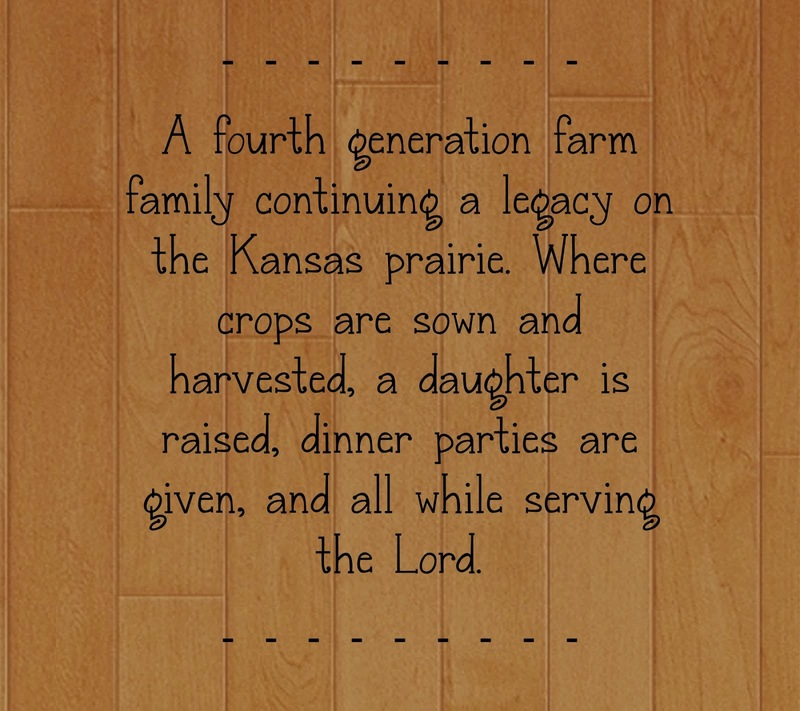 It's about a farmer, God, and living our lives to fill the Dash! I hope you enjoy! I spent my morning attending a funeral. It made my heart glad that the friend I knew, through my work in the insurance business, was a person of faith and saved. There were other things I found out at the funeral that just made me smile. It was like I was getting to know him better. Then there were things I was reminded of that I already knew. There were moments of sadness and tears upon my heart, just taking me back to the not so long ago passing of my Dad. One of the things I wanted to talk about today is that I felt the Pastor for the service did a remarkable job of intermingling the Word and the life of this farmer (and other farmers). She pointed out thatone of the first occupations of Adam was to care for the land and animals. Farmers care for their land and animals their entire lives if they have their way. They grow food from the dirt we were created from. I haven’t and won’t do the sermon or words that were spoken of my friend L. justice but I will celebrate his life today. I will celebrate the way he was hard working and a man that was cut from a cloth that meant respect, being stubborn at times, and loving with a whole heart. He would come into the office and start out giving me a hard time. It would end with me giving it right back and laughing together. He was a good man. The one thing I learned about him was that he carried a pocket bible with him daily and knew the scriptures and books of the bible. This only impressed me even more. One of the first things that was read at the funeral is listed below. I had never heard it before and I am so thankful I did today. It’s beautiful. It’s true. It’s meant to inspire and be shared. So that is what I’m doing in celebration of L’s life. As he lived his Dash well, I hope you and I do too. Click the link below to read the poem by Linda Ellis, the author. 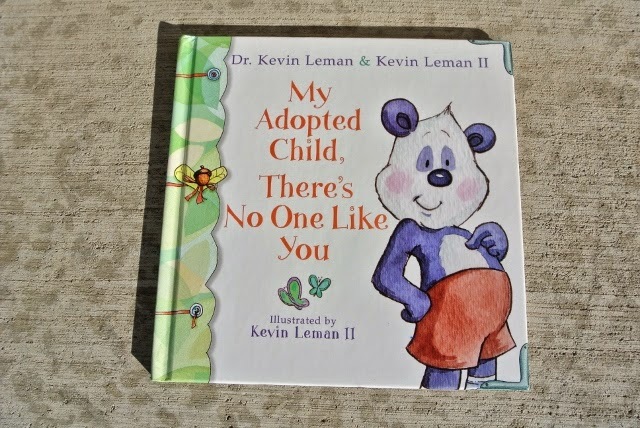 On this Thanksgiving day of 2014 I wanted to thank those that participated in sharing their personal adoption stories, read the stories, shared the posts, commented on the posts, and supported me personally as we took this journey. 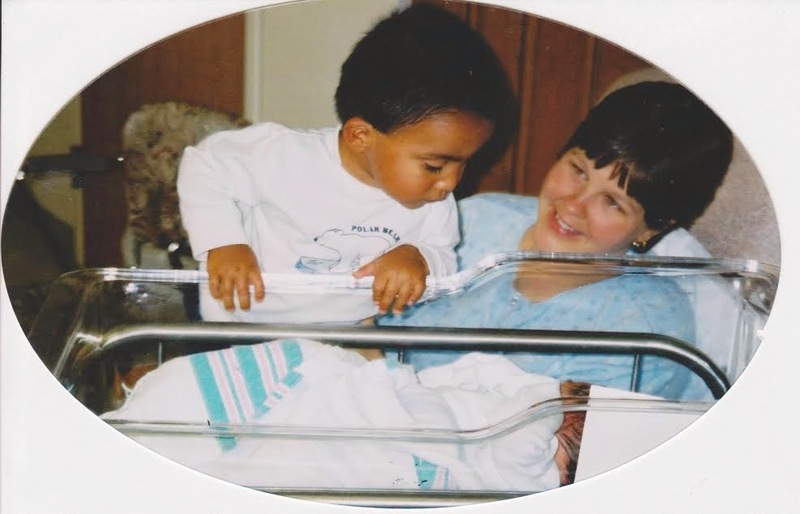 Taking this journey through other people's adoption stories brought me back to our time with adopting PV. I find this to be a blessing. Sometimes in this crazy busy life we forget the precious moments that have been. Living in that moment, supporting others currently in adoption, and sharing these stories has truly been a blessing to me and my family. Today, I'd like you to take a moment and share the link below one more time. It only takes a second and I'm not doing it to bring up my views or get my blog out there. The reason I ask is, that when November is over, which is National Adoption Month, there will still be the following. Children not looking for forever families, but waiting for them in foster care. Birth parents trying to make the decision of whether to parent their unborn child, choose adoption, or unfortunately abort a human life. 18 year old children finding themselves outgrowing foster care and never being adopted. Families struggling with fertility that want to parent. Families that are considering growing their family through foster care or adoption and need that final "something" in front of them to move forward. That new parent that knows that they can not handle parenting the child before them in the way they should and is unsure of how to move forward to change what's not working in a manner that is kind and helpful to society. Adoptive parents that are perhaps struggling with the new transition and just need reassurance that there is light at the end of the tunnel and others have made it, so can they. One of them may see a post to encourage them, continue to have hope, take a breath, and start again. Let's do this together! Feel free to share it on any social media or email it to a friend. Thank you for joining us! Check out the top right side of our blog page. 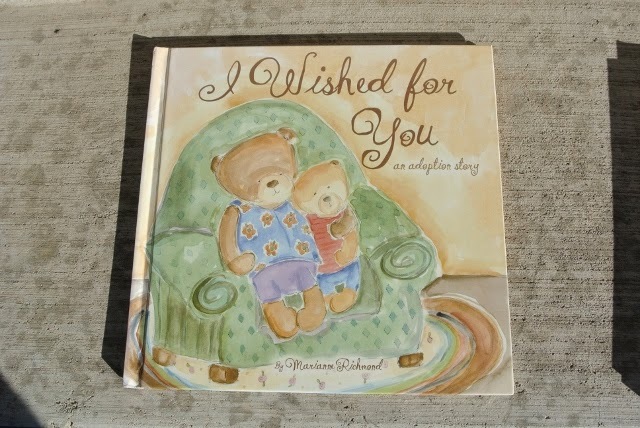 This particular post for our Adoption Series 2014 is about books. 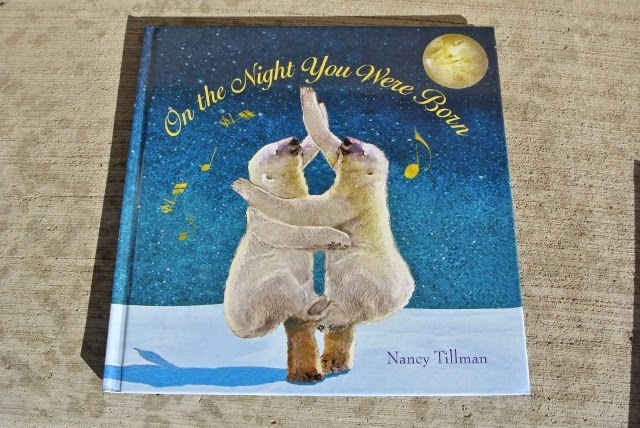 used when reading to their adopted children. post to make adoption awareness known! 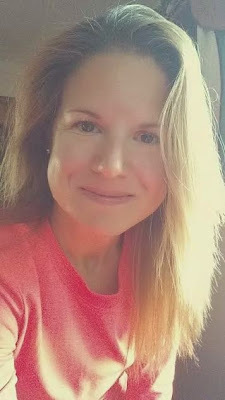 Shonya from Learning How Much I Don't Know has a couple posts as well on book information. Be sure to take a gander there too! Do you know of some good books! To follow on email - check out the right sidebar! 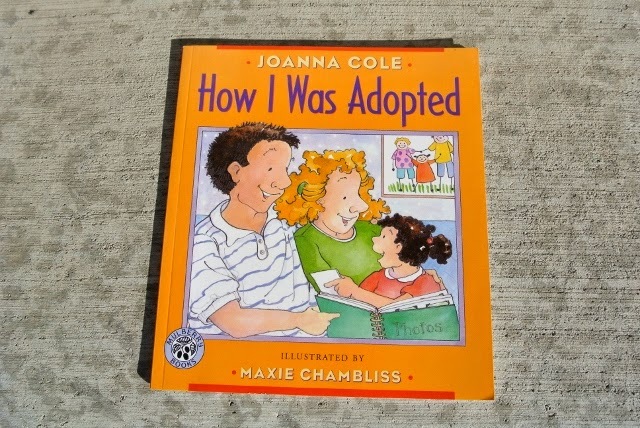 This is one of my favorite stories that I know of adoption. Perhaps it is because I knew Chris in my high school days or maybe because it's just so beautiful. They did a great job of writing their story out. Thank you Chris and Stephanie for joining us. Hello, we are Chris and Stephanie; we have two wonderful boys, Matthew, who is nine, and Jackson, six. 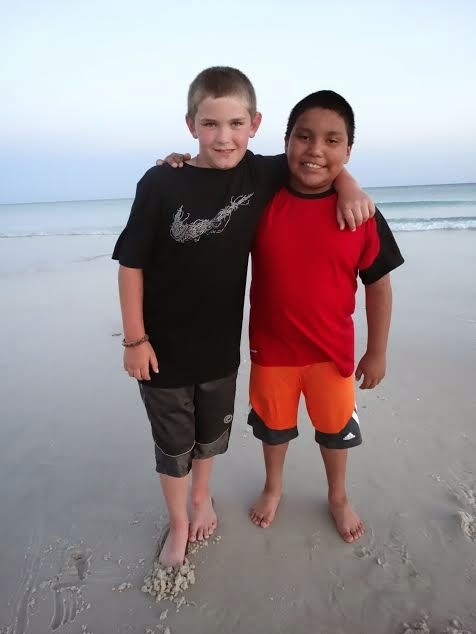 We are pleased to have the opportunity to share our adoption story. . When we were first married, we didn’t try to work on a family, but at the same time, weren’t trying not to start a family. After about five years, and a few times of thinking it might happen, we decided to see some doctors and find out if there was a reason it wasn’t happening. As it turns out, the problem lay in both of us, so long story short, natural pregnancy was not in our cards. We started down the fertility road, but quickly decided that wasn’t the way for us. It wasn’t that we had an ethical problem with it, we just didn’t feel we needed to go down that road. Naturally, our thoughts turned to adoption, but it seemed rather daunting at the time, and we put it on the back burner for a while. Three years later we started the process again, full of plans and ready to start our family. Initially, we thought to pursue an inter-country adoption, feeling the odds of success were greatest. Shortly after we began though, we realized that we wanted an infant, and would need to do a domestic adoption. We had some unfortunate failures along the way, ones that were very emotionally painful at the time. At one point we were there for the delivery of a child. When we returned to the hospital the next day, they told us we were no longer welcome. As I reflect back on it now, I still wonder what God was trying to teach us through that. But if that mom needed support, and God thought we were up to the task, I’m glad we could be there. Our boys were adopted through different agencies. And the experiences couldn’t have been more different. One adoption was very emotional and more relational, both with the agency and with the birth family, and the other was rather business like and structured. Both have their merits. We met Matthew’s birth mother for an interview about one month before he was born. We had a nice time with her and her family, and left wondering what would happen and how she thought it went. 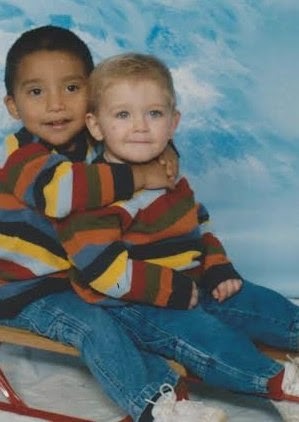 We found out two days later when our social worker called and said she had chosen us! 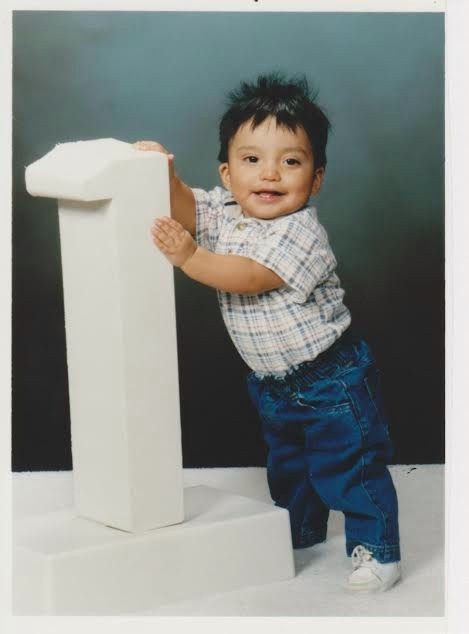 Just a few weeks later, Matthew was born. 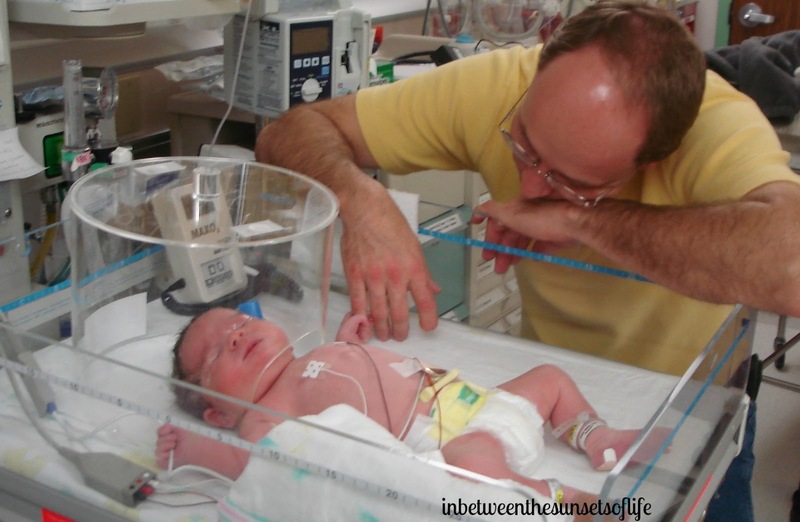 We arrived at the hospital about 45 minutes after he was born. Stephanie and Matthew had to stay in that state until after the hearing two weeks later. There was some concern at the hearing as his biological father, who had never responded to the adoption agent when contacted regarding the adoption plan, came to the hearing to protest. Our agent asked the judge to stop the hearing so she could explain the process to him, and he agreed that the plan was for the best. Her ability to communicate to him, and her emotional investment in the adoption plan, I feel were very key in helping overcome this hurdle. We couldn’t be at the hearing, so we had no idea this was all happening. I still remember standing in a little bookstore at the time, wondering if this was going to work out or not. Jackson’s biological mom picked us just a couple weeks before he was born. We were at church on a Sunday morning when my phone rang, I realized it was a call from Florida and knew that it was time to go! The call came at 11:45 am, and 12 hours later, the three of us were in a hotel room in Daytona Beach. Talk about a whirlwind trip. We had the opportunity to meet with his biological mom at the hospital for a while, and then she met with the agency again. After that she checked out of the hospital, and we had another little boy! We spent a week in Florida; some of Stephanie’s family came down to stay with us as it was Christmastime. What a great time, going from cold Illinois to sunny Florida and getting the greatest Christmas present you could ask for. Going to Sea World on Christmas Eve when it’s 85 degrees is kind of a bonus as well. The agency also took us out to dinner with three other families that had just been placed that week. How fun it was to share that special time with other families that knew exactly what we were feeling. Both of our adoptions are semi-open, but that means different things to different people. We send regular updates to one of the agencies; the other agency just asked that we send updates for the first year. In both cases, though, the birth moms can request them if they like. We were in regular communication with Matthew’s mom for the first few years, and made some visits out to see her and her family. She came to visit us in our home after Matthew’s adoption, too. We felt it was important that she be able to picture where he was. We still have some occasional contact with her, but seldom. We talk to the boys about their adoptions openly. Sometimes they ask many questions, and sometimes they just want to know what’s for snack. They are brothers through and through, going from being best buddies to enemies and back at light speed. Being different races doesn’t enter their thoughts very often, and to date, we haven’t seen it be a problem anywhere else. Will that change? I don’t know, but I trust that our family, put together by the hand of God with the same love and planning as if they had been born to us biologically, is exactly right, and can overcome anything by His strength. To follow us via email, check out the right hand sidebar! To follow us on Facebook and Pinterest check out below! I'm excited to share that once again I am participating in a blogger Christmas exchange! It's a great way to meet other bloggers and it's fun to gather items to send to someone new! I participated last year and received some fabulous gifts! 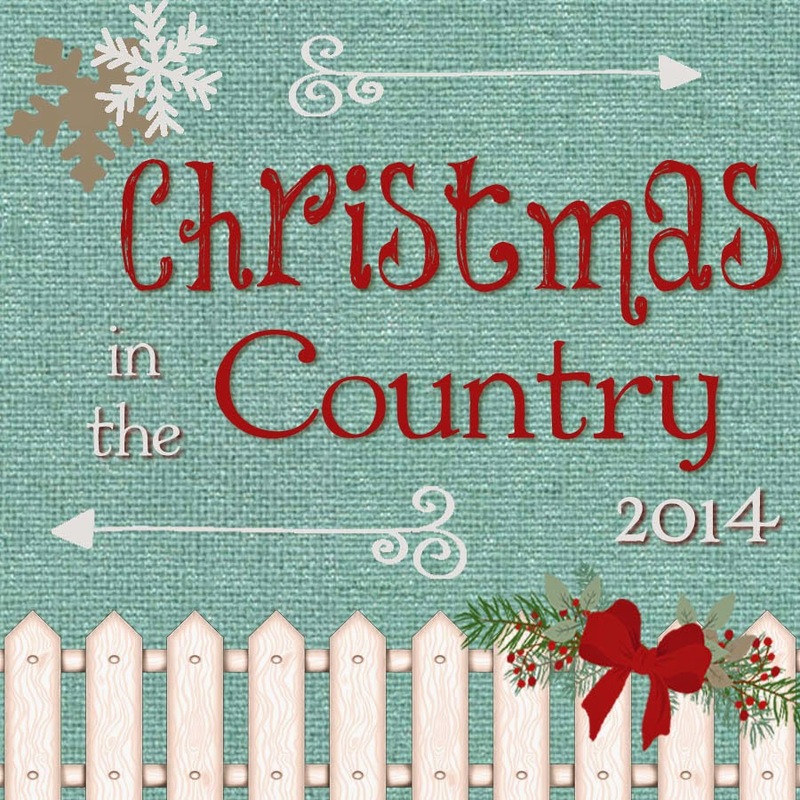 You can read about it from my previous post Christmas in the country gift exchange! I will update you after Christmas about this years exchange! Super excited! Today is National Adoption Day 2014. Today I wanted to share more of our story in celebration. I hope you enjoy it and I hope through this adoption series you have found new insight you may not have had before. Thank you for joining us. When I began the process of compiling stories and information I made my way to a blue box. Although this box is just a plastic container from Walmart it holds a lot of information for my youngest daughter. Paperwork, court documents, photos, and a handwritten journal from long before she was even a twinkle in our eyes. Opening that box brought back a rush of feelings to me. The photo from the hospital of her and her birth information, the dark curly hair, and chubby cheeks. It took me back to a time when there was so much uncertainty and the only things I could hold on to was her Daddy's hand and our faith. Together, him and I made that journey. Together, we bonded with the gift of life God chose for us to parent. Together, we will do our best to raise her. I took my journal and her first scrapbook from the box, I knew I would need them near me as I wrote this series. To help inspire, remember, guide me back down our path of adoption. My original post about our adoption can be found by reading Did you know . I decided I couldn't break it up and that I wanted to write something different in this series. So if you would like the full story, be sure to check it out. Reflecting back on our adoption my view is different than it was six plus years ago, heck even two years ago. When I was in the process of adoption, the waiting, I thought it was the worst thing ever. Guess what, it wasn't. Waiting on the birth mother to sign and getting approval from both states, now that was hard! But all that fades, it doesn't matter, it all worked out in the end. We traveled home with our daughter, and began living the life we were suppose to with three girls in our home. Our flight home to Kansas. PV 's first airplane ride! I want to let you know it had been 15 years since I had an infant in my care 24 hours day 7 days a week. That's a long time, and so I felt as if I was a brand new mother again. My husband had no children prior to PV and wasn't around children much before marrying me. We were in our 30's and 40's but we could have passed as new parents in our 20's! :) PV had colic, it hit every night about 7:00, and seemed to last for years. Honestly, this was the worst of our transition into parenthood. We survived and are better people for it, maybe looking more like our true ages, but better people anyway. One of the things that was amazing to us is that so many people would comment how PV looked like my middle daughter Kassidy. Their baby pictures were similar and they both have brown hair and brown eyes. To this day, I find myself giggling at how much they are alike in ways other than just physical attributes. Most of our friends and family knew we were adopting and had been chosen to become PV's parents. But there is that rare occasion, out in public, or someone that may not know us well, and they comment how much she looks like me. I smile, and sometimes I explain she is adopted and sometimes I do not. Either way, she is my child and I am her Mother. 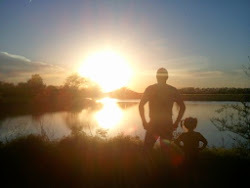 One of my favorite photos of us taken by my oldest daughter. The love, support, and prayers we received during the entire adoption process was more than we could have ever asked for. When we returned home the inside of our home was decorated in pink balloons and streamers with a basket of goodies. We were given two baby showers and the child didn't want for anything for sometime. Beautiful quilts were made for her and visitors quickly arrived to hold the newest member of our family. I can't express in words well enough, we are still grateful to this day. We don't talk about adoption on a daily basis, but PV knows she is adopted. She knows that she can come to us and ask questions, and that we will be honest. Milton and I show her the photo albums, and I tell her the story of when we first met her. How I watched her Daddy fall in love with her right before my very eyes. One of THE most beautiful things I have ever witnessed. As she gets older there will be wonder and there will be questions. There will probably be some painful moments as well, but as her parents we will do our best to be honest and love her the best we know how. Here is where I'd like to say that just as I forgot the pain of natural childbirth with my two older daughters when they were laid upon my chest for the first time, I forgot the hardest moments of adoption, when I met my youngest daughter for the first time. Nothing can replace her place in my heart. 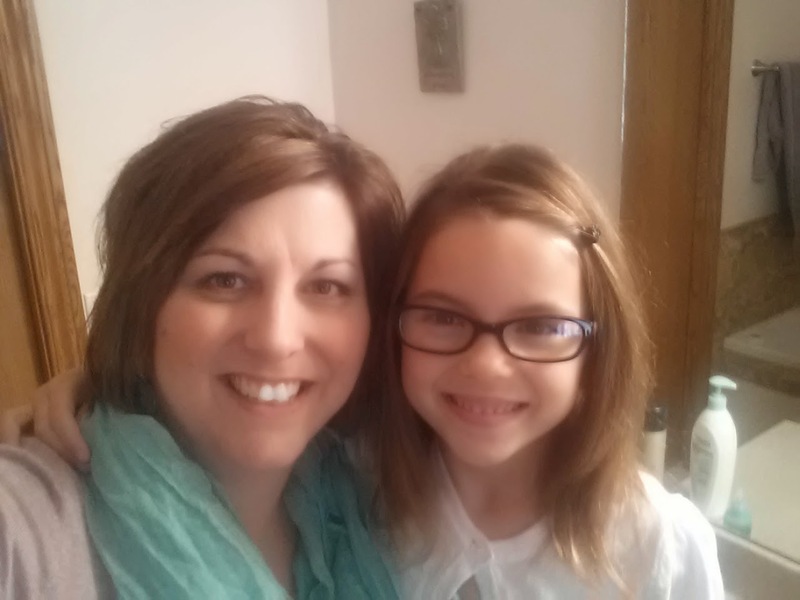 As I always tell her, "I'm so very glad God chose ME to be your Mommy." Today's adoption story comes from a family of three. They hail from South Central Illinois where they are a farm family. They are active in 4H as well. The farming operation is grain and dairy with B.W. 's family. Although their road to becoming parents of their son was bumpy, in the end it all turned out to be wonderful! Join me in welcoming K.W. and B.W.and their son B.W. This is their story in their words. After a miscarriage we struggled with infertility for several years. 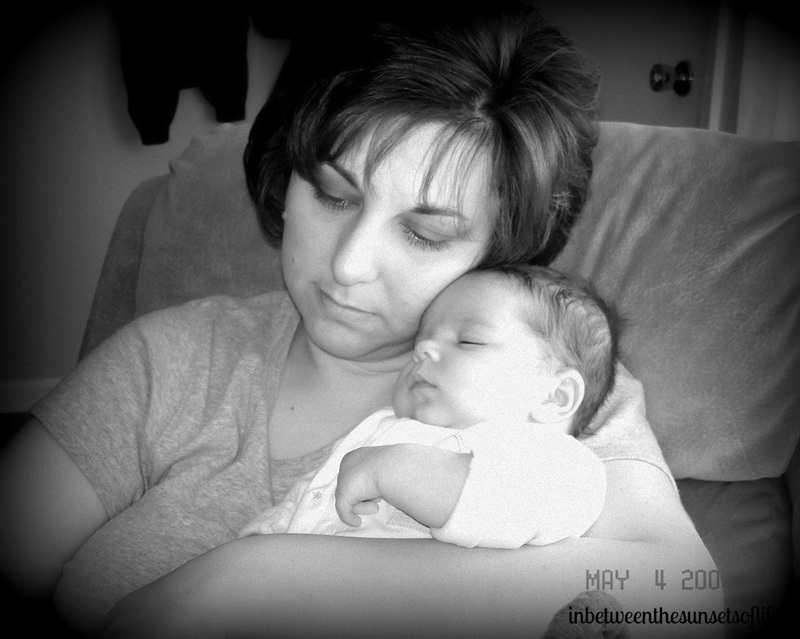 We tried 3 rounds of IUI with becoming pregnant once to only miscarry as well. So, a few years later we tried IVF. We did 3 rounds of that also which meant several trips to St. Louis to the IVF doctor. This meant hour drive from our house, but when you want a baby so bad you will make those trips and not complain. Alot of them were at 7:30 am. One of the IVF’s took and was 10 weeks along in my pregnancy. I had been to the doctor and everything was good. That evening my world was ripped apart, I had a another miscarriage so this makes three. I could not mentally and physically do another round. Then my sister adopted a baby boy and then my husband and I decided that is the route we would also take. At first I did not want to tell anyone I was adopting. I felt like a failure by not being able to carry a child. Then one day I realized how will anyone know if I don’t talk about it? Well my husband had mentioned to a neighbor that we were wanting to adopt a child. So here is our story of adoption. In June of several years ago my neighbor and her daughter came to our house and told us there was a possibility that a family friend was pregnant and would more than likely not keep the child as her mother was raising her first child. So one fall day in October I got a call that the child had been left with the mother and it was a good chance we would be able to become parents to the child. I called the adoption agency and had them prepare the temporary guardianship papers so we could have care of the child. We drove and picked up the child. 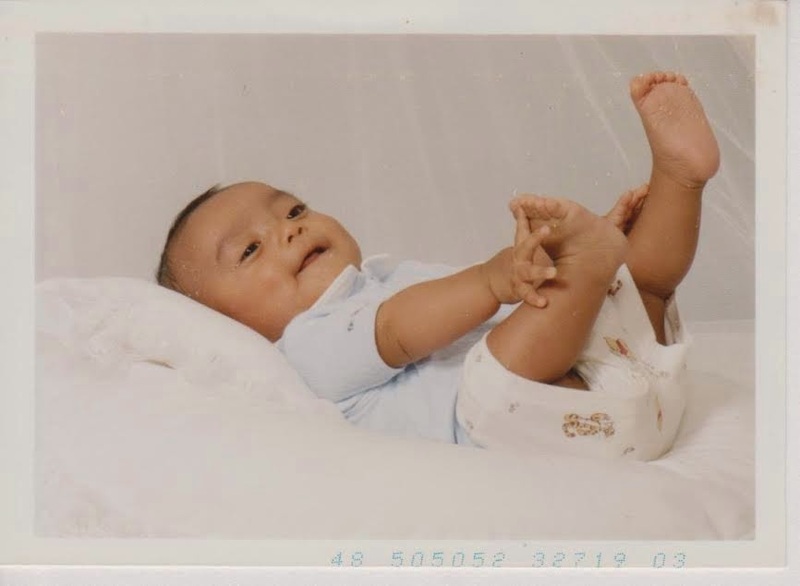 I was elated that I was going to have a baby he was 7 weeks old at that time! Unfortunately, once again my heart was ripped out of my chest and by the time we drove the hour home the birth mom was calling wanting her baby back. I had a house full of people coming to see him and then had to tell them I had to take him back was heartbreaking. So my mother told me you are not taking that child back to her! You are making her meet you at the sheriff’s office as I had no idea who she was. My neighbor went with us to the Sheriff’s office along with my parents, We waited and waited and 4 hours later she showed up (she was only an hour way). She came into the Sheriff’s office and didn’t look at the him in the car seat just wanted her baby. She had no identification on her and the Deputy told her unless someone identified her she was not taking the baby. My neighbor identified her because really we not have any rights at the time. We were devastated to say the least. Over the next several weeks I was heart broke. Then I get a call three weeks later that the birth mom has left the baby with someone. So here was our chance again. We were scared out of our minds. I told no one as I didn’t want to feel like a failure again. Then the day came and the adoption agency did all the paperwork in line and they had the baby for us to come and pick up. I called my parents and told them so they could go with us. My sister and her husband and newly adopted baby boy met us there as well. So we drove to the adoption agency and picked up our bundle of joy! 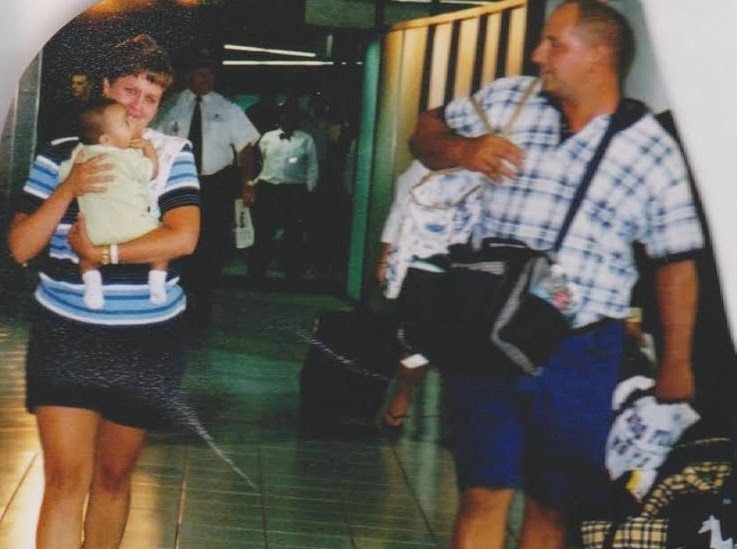 I was still on pins and needles for a few months until the birth mom met the adoption agency and surrendered her rights. That was the best feeling when I got that call! The birth father was not listed on the birth certificate. He didn’t register with the Putative Father Registry in Illinois so I was pretty sure we were safe there. On June 10, 2008 the Judge signed the papers and he was officially ours. Now he is a spunky 7 year old that loves helping Dad on the farm. We are very blessed. Thanks for reading my story it did have a happy ending but there were definitely bumps in the road. I would like to thank K.W and B.W. for sharing their story today. As you can see sometimes the journey to becoming parents isn't an easy one. Having biological children has it's bumps as well as adoption. 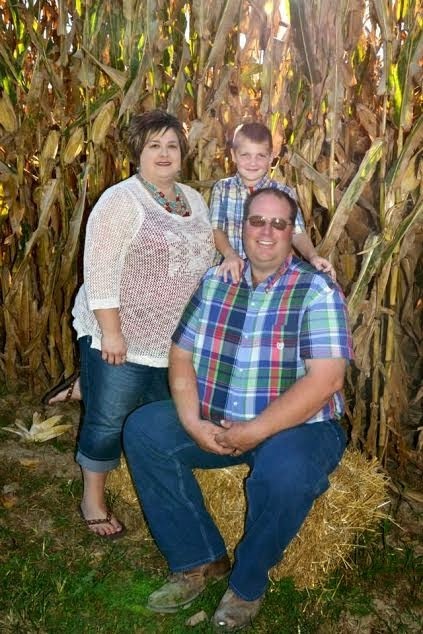 We are thankful they were able to adopt their son and create a farm family! 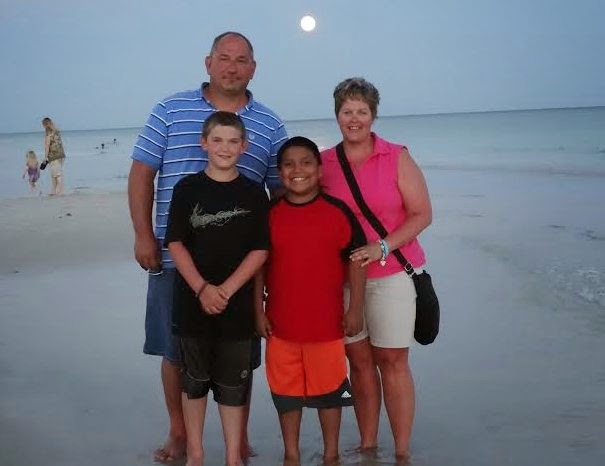 We will return Monday, November 24th with Chris and Stephanie's adoption story. They are a family that has adopted twice! See you Monday! 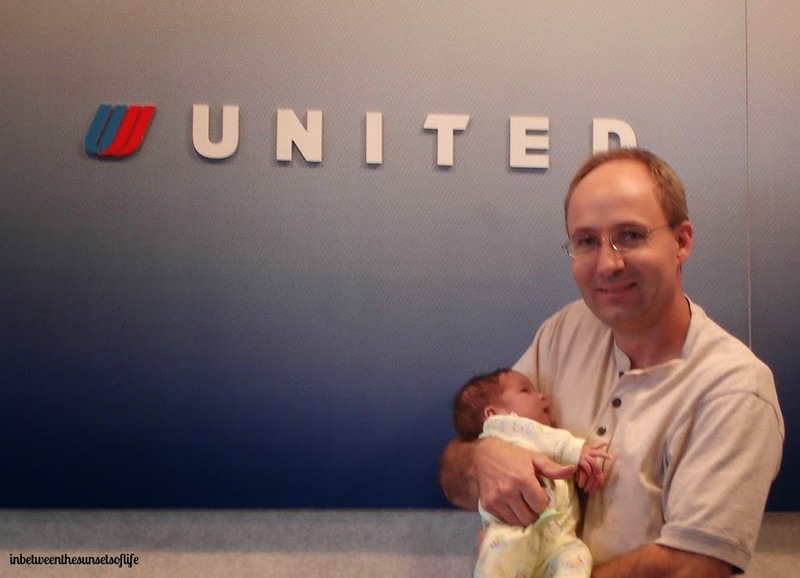 Our next post in our adoption series is about a family that chose to adopt internationally. Tim and Susie married in June 1996. After numerous doctor visits and many months of trying to get pregnant on their own they decided to see a Fertility Doctor in St. Louis County. After more testing he told them that Tim’s sperm count was low and it was nearly impossible for them to get pregnant ontheir own. Tim and Susie then decided to do the Icsi Procedure. After months of taking medication and believing this was going to be an answer for them on having a child they were completely devastated to find out that it didn’t work for them. They discussed this for a couple weeks trying to decide if they wanted to try the procedure again or not. Tim and Susie finally came to the conclusion that “No” they didn’t want to put themselves through that. They wanted to put their money towards something that they knew would get them a child they so desperately wanted. 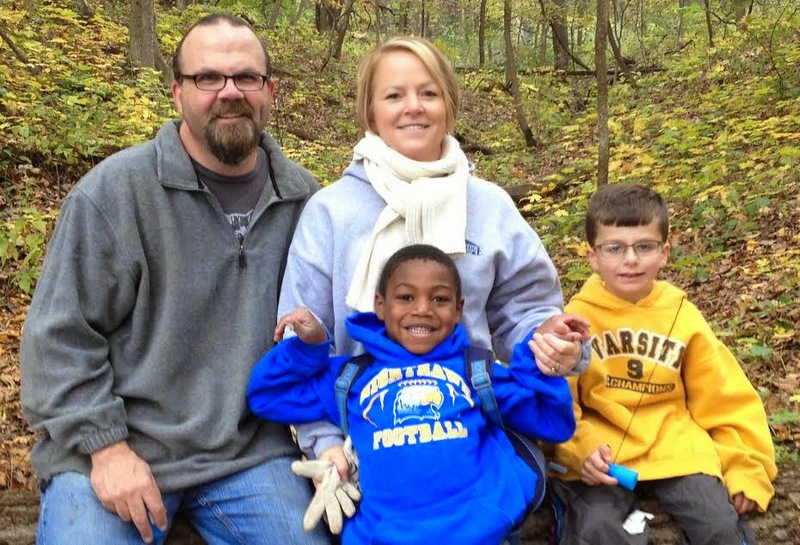 So Tim and Susie met with an adoption agency in St. Louis. It was there they decided to go internationally. The children in Guatemala needed a home just as much as the children here in the US and the system seemed to move faster. And they wanted a child as close to the newborn age as possible. Tim and Susie don’t feel like they had much of a waiting period. By the time they got all the paper work together and the home study done – it was just like everything started to fall into place. They feel the worst of it was the time between when he was born and he was presented to them to the time they actually got to hold their son in their arms. 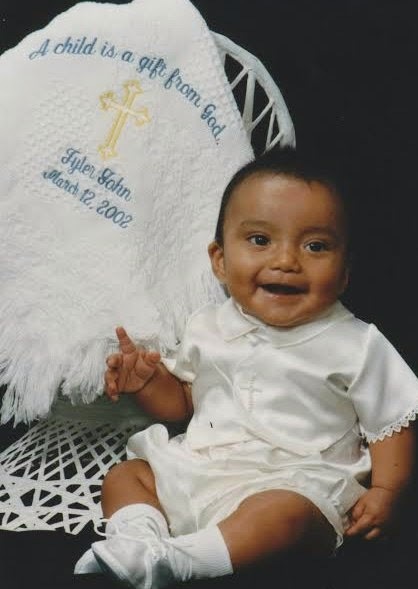 Tyler was born on March 12, 2002 and he came home to them on July 23, 2002 – he was just 4 months old. 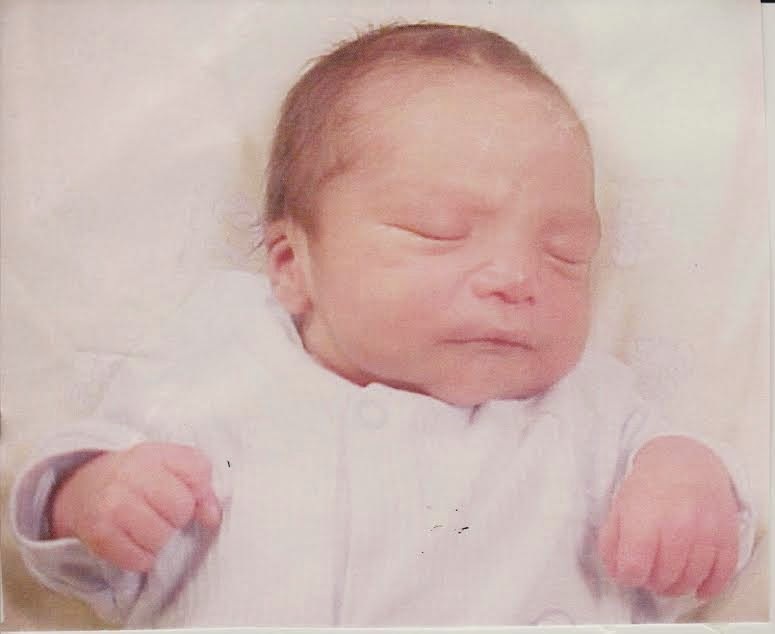 His name was Luis Alberto Vincete Arreaga when he was born in Guatamala. Tim and Susie explained the following to me when I asked them a few questions. Their replies follow in orange. In regards to sharing with Tyler about Guatamala what resources do you use? 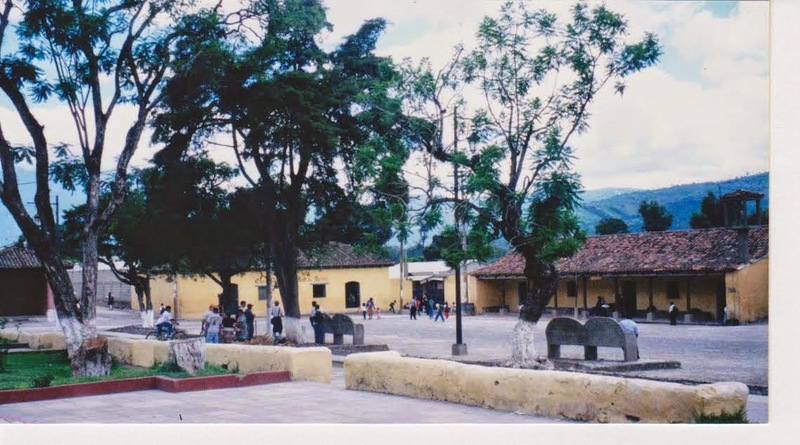 We talk about Guatemala with Tyler and actually we have a friend that is living there now. We always tell him that if he wants to go see where he is from we are more than happy to take him there. At this time in his life he is not interested. We are hoping as he gets older maybe he will change his mind – just so he can see where he is from. In March, 2003, Susie began feeling sick a lot and went to the doctor and found out she was pregnant. Kyle was born in November, 2003. The doctors told them they couldn’t get pregnant so you can only image their shock when they were told the news! 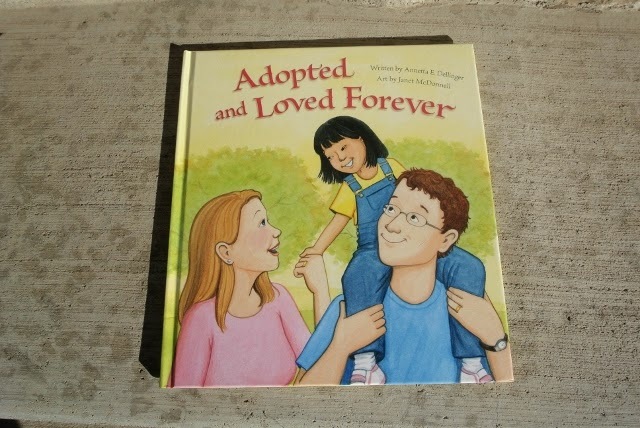 What experiences have you had when people learn that you adopted and also have a child that is not adopted? Would you mind sharing how you handle those whether positive or negative? We haven’t had much confrontation with this issue. Our families and friends couldn’t love Tyler and anymore than they do Kyle. There were a couple times when Tyler was a baby and people at stores (especially WalMart) would ask me where he was from. And the first couple times I would tell them Guatemala, but then it did start to get to me. Today there are so many mixed relationships that I didn’t want him growing up thinking he was different from us. So I started answering them by saying he was my child and he was from America. Sometimes people can be so rude and nosey and maybe they need to think before they speak. I know it has opened my eyes with our adoption and with a family member having a mixed child. A child is still a child and needs people that love them to surround them no matter where they are from. When you were waiting to adopt or it was final, is there a special gift or something someone did that made it extra special? Our family and friends bought Tyler gifts from the minute it was final until months after we brought him home. 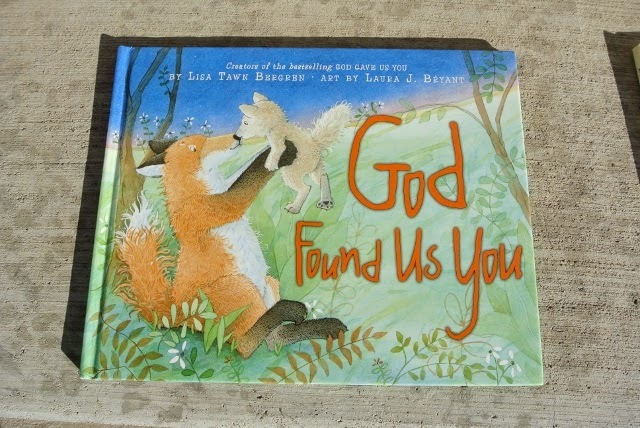 Gifts for Easter, gifts just because – it was like he was already with us. Friends gave us a “Couples” Baby Shower. I think the Dad’s had just as much fun there as the Mom’s did. Both our families gave us a shower after he came home. Both our work places gave us showers. He had so much STUFF we didn’t know where we were going to put the Baby. Tim and I are both involved with the St. Charles County Fair Board and when we got the notice to bring Tyler home it was the week of the County Fair – go figure. We did make it home the last day of the Fair and at the airport we were greeted by family and friends. When we got to the Fair Grounds they had a banner made saying “Welcome Home Baby Tyler.” There was also a cake in the Fair Office and my Dad was so proud to take him up on the announcer stand and introduce his newest Grandson. Do you celebrate things such as Gotcha Day or Adoption Day? Adoption is expensive and the paperwork alone can be overwhelming. Do you have resources you would recommend to help those considering adoption? I mentioned the paper work previously. Adoption is expensive – there is no doubt about that. We were fortunate enough to have my Dad be able to help us out financially. If it had not been for him I’m not sure we would have been able to go through with it. Parents that are looking into adoption or waiting for that phone call they have been chosen, what advice would you give them? Do as much of the paper work and running as you can yourself. We had to have documents filled out and originals of so much stuff that my husband and I did most of the running to get these instead of waiting the 2-4 weeks by mail. We made many trips to our state capitals (I was born in MO and Tim was born in IL so we had to go to both) to gets papers signed and sealed which we had done in a day and did not waste the time or the thought of them being lost. When we had to send off all the final forms I thought I was going to crawl out of my skin thinking thoughts of them being lost somewhere along the way. And keep yourself busy! Adoption is a long, lengthy process but in the end it is so worth it. I always think to myself after I was able to get pregnant with Kyle that we have been blessed to experience the best of both worlds. Tyler and Kyle both are true blessings from God and we thank Him EVERY day for them. Tim and I always said that if we would win the lottery we would defiantly go back for that little girl! 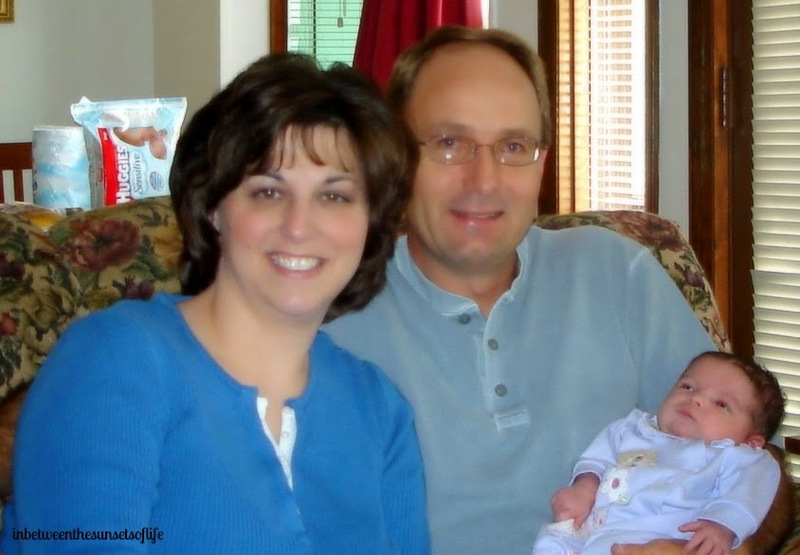 Tim and Susie have a remarkable and great story of adoption. Their family has been created through both adoption and natural means. We feel very blessed that they chose to share their story with us. Please feel free to share any comments of support or questions for them. My name is Roberta Jo Penn. My maiden name was Brayton. 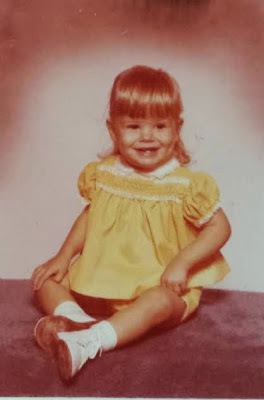 I was born on March 30, 1971 in Pontiac, IL My parents, John & Judy Brayton, adopted me from "The Baby Fold" in Normal, IL. I have an older brother, Stephen, who was also adopted from there as well. He is 5 years older than I am. We lived in Moline, Il until I was 5 where we then moved to Danville, IA. I had a wonderful childhood. We lived in a small town, much like the town I live in now. I had many friends even though I was very shy. I participated in sports, speech, swing choir, golf, school plays and other extra-curricular activities. Yes, I broke out of my shyness by High School. I graduated High School in 1989 and then went to business college in Davenport, IA for two years. After I graduated college with an Associate Degree in business. I got a job with USDA "Farmers Home Administration". I worked for that agency for 20 years before becoming a stay-at-home-mom. Within that time I had gotten married, had twin daughters(Jessica & Rebecca) in 1999, got divorced, got remarried and had another daughter(Lillian Jo) in 2008. My husband, Michael, our three daughters and I live in Edina, MO on 35 acres. Life is good!!! I believe I first found out I was adopted when I was 6 or 7. I can almost remember the exact spot my dad told me, he sat me on his lap. Although I can't remember how the conversation came about, he told me they just couldn't have kids of their own. He said it was up to me when and if I chose to tell anyone. I didn't for years. As a child you are afraid to tell other kids you are different. At least that's how I felt as a child - different. And I don't mean that in a negative way. I NEVER felt that my mom and dad were not my parents. I didn't know any different. So, as a child I didn't think of it much or speak about it or tell anyone. Then in High School the subject came up between some friends and myself. I felt comfortable with myself by this point that they are either going to accept me for being adopted or they won't. Come to find out....one of my best friends was also adopted. So of course she understood my story. But others, their first response was "your REAL parents didn't want you?" I never looked at it that way, I just didn't think about it much - period. Until later years, then for some reason, it starts to become more of an issue. Maybe it's the part when you start having kids and the doctors ask you about your medical history. I would say well, you see. And then I find myself explaining all of it to every doctor I have ever gone to. Then it starts to hit me, what IS my family history? This is followed up by, why did they give me up? Was my mom or dad sick, were they too young, not married, unplanned, couldn't afford kids. So many questions all of them unanswered. A few years back I decided to find out what I could. Not about my biological parents but about my medical history. My thought on finding out about my biological parents has always been the following. My mom and dad that I have known as my parents for 43 years were and still are the best parents in the world. We ate supper at the dinner table every night, they attended all my school events, along with attending church every Sunday we went to my grandparent’s for Sunday dinner. My dad played basketball with me. My mom took me shopping. We went on family vacations EVERY summer. I had everything I needed and more. The street we lived on was full of kids. We ran to and from each other's houses and played all the normal kid games together! I feel I had the perfect childhood. I didn't want to know about my biological parents. I just wanted to know if I needed to be aware of any health issues. I contacted the adoption agency. They did inform me that unless my biological parents and myself both filled out a certain form to find out about each other than we would never know who/where the other was. I was fine with that. But I would be lying if I said I never about where they are or who they are. I can't believe that any child that is adopted doesn't "wonder". Just because, as of right now, I choose not to find out doesn't mean I don't wonder. Some questions I always have are: Who do I look like? Do I have other siblings? What did they do for jobs? Where do they live? Are they still living? Who's little quirky mannerisms do I have...hers or his? Do they own pets? The most obvious question, do they ever wonder about me? 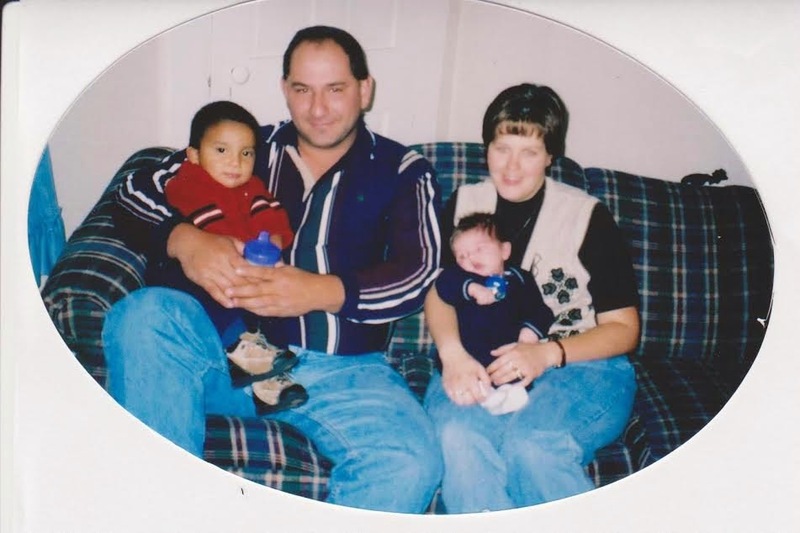 I never have had any hard feelings against my biological parents because they did an amazing thing for me. They gave me the opportunity at a wonderful life and that's exactly what I got. You read and see on the news about babies just being dropped off here or there. My biological parents loved me....I have no doubt. On March 30th, I wonder, how hard that day is for them? Having had 2 miscarriages I know what it's like to lose a baby. I can't imagine how hard it had to be for them to give me up. I was adopted by my parents when I was 3 days old. So I barely lived the "adoption agency" life. Some children never have the chance and that makes me sad at times. After our miscarriages, we thought about adoption but I'm sure it is very different now. I never just tell people that I'm adopted. It has to come up in conversation and I usually do end up telling people I am. On one occasion, I found out that a man a few years older than me was actually adopted from the same agency. He started talking about it and my mouth dropped. Such a small world. As an adult I have found several people I know were adopted. It's a nice feeling to be able to talk about it with friends. My brother and I never really did talk about it. Roberta would be happy to respond to any questions you might have or feel free to leave a comment below for her. We are encouraging you to share the posts in the Adoption Series 2014 to bring awareness this month to adoption. We extend a huge thank you to Roberta for participating and we hope only the best to her and her family in the years to come! To checkout Roberta's blog, be sure to see it at PENN TO PAPER.